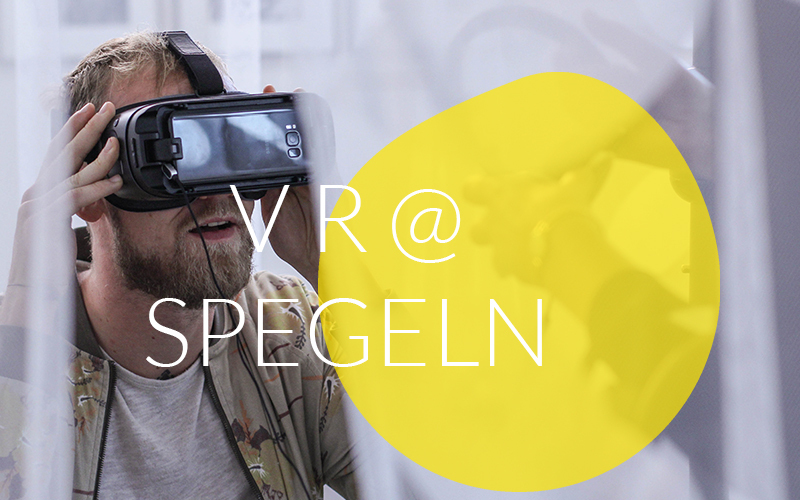 Virtual Reality and immersive storytelling has invaded Nordisk Panorama in a big way also this year and we invite you to explore it all at Spegeln! Here you will find the details you need to navigate Virtual Reality at Nordisk Panorama. A cinema screening of VR – with live actors. Kinematografi takes you into the mind of a woman suffering from the delusion that she is a character from an Ingmar Bergman film. A psychiatrist tries to convince you that the memories you are reliving from that cottage by the sea are not your own. You are not a woman created by the male genius. A VR cinema premiere and exclusive experience with sensory interaction, this piece invites you into an intimate story where memories are physical and fiction is contagious. Kinematografi, a work in progress, is presented by Malmö based performing arts company Bombina Bombast in collaboration with BoostHbg. Bombina Bombast is a performing arts company based in Malmö under the artistic direction of Emma Bexell & Stefan Stanisic. Since it was founded in 2011, Bombina Bombast has produced over 30 original works for stage and screen, all characterised by the performative meeting innovative technologies, and lately with a focus on virtual reality. The company has presented at festivals and venues worldwide, including theatre festivals in Europe and China as well as the Cannes and Sundance film festivals. BoostHbg is a Helsingborg-based development fund for new formats and new ways of developing stories. BoostHbg facilitates workshops, development programmes and lectures, and supports Skåne-based storytellers and developers who combine powerful story worlds with audience engagement. At Nordisk Panorama 2018, BoostHbg has teamed up with regional creatives to showcase examples of new Nordic storytelling and the development process for new formats. Experience the incomparable moment when Holocaust and World War II survivors take their first steps in freedom. The Moment of Freedom Experience has collected the captivating faces and stories from the survivors with a collage technique, partly inspired by the legendary artist Hannah Hoch. The VR experience is part of a planned interactive exhibition created by Anna Senno. The experience is the next chapter in the stories from Magnus Gertten’s documentary films “Harbor of Hope” and “Every Face has a Name”. The prototype is produced by Auto Images and supported by Film i Skåne. The work is presented in collaboration with BoostHbg and members from the team will be present to explain the development process and plans for the exhibition. Auto Images is a well-established production company in Malmö, Sweden which makes creative documentaries and delivers digital stories across all platforms. The company is known for telling stories combining strong local roots with a global perspective. Auto Images’ track record includes many award-winning films, successful collaborations with international partners and a trusted relationship with key financiers in Sweden. Auto Images was founded in 1998 and is centered on the creative lead of director and producer Magnus Gertten. In Cosmic Top Secret, you help “T” investigate what her father worked on for the Danish intelligence services during the Cold War. T’s parents were Cold War warriors, clandestine operatives of the secret service arm of the Danish Army, fighting the Red Menace in a fantastic reality of double identities, top secret documents and coded signals. Cosmic Top Secret is the autobiographical documentary game for tablets and web based on an amazing true story. Through six levels, the story develops an interaction between narrative, mechanics and stunning artwork. Klassefilm was established in 2004 by Lise Saxtrup. KLASSEFILM produces visually strong and soulful documentaries with high artistic value. In 2009, the company entered the field of games and animation and has since been exploring and producing a number of transmedia projects. Lise Saxtrup is an EMMY nominated producer, founder of KLASSEFILM and the producer of Cosmic Top Secret. Director Trine Laier is a director who has worked with animation since 1991. Trine graduated from the Danish Film School in 2012 as a film and games director.